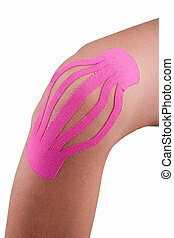 Therapy with kinesio tex tape. 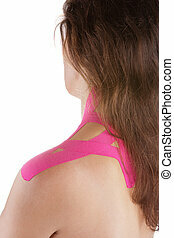 Beautiful pregnant woman with kinesio tape. 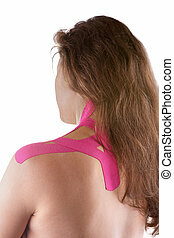 Back pain in pregnancy, alternative kinesio tape therapy. 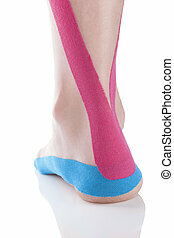 Kinesio tape on female heel isolated on white background. 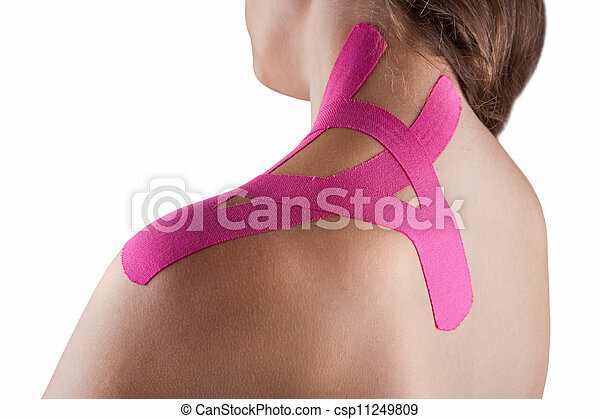 Chronic pain, alternative medicine. 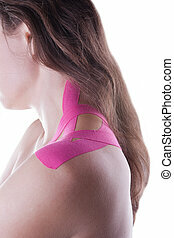 Rehabilitation and physiotherapy.